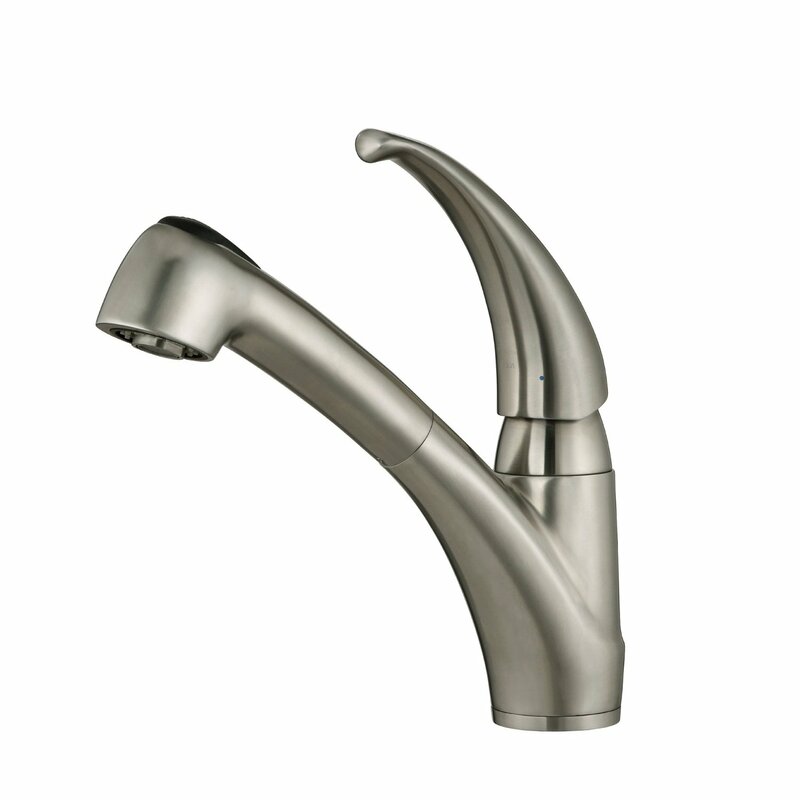 If you are looking for simple and stylish kitchen faucet, you will definitely like Price Pfister G133 10SS. Some people are tired of scrubbing their sink because their water tap doesn’t have enough reach. This situation never concerns Pfister Pfirst series owners. Their spout gets even the furthest points of the basin. It is user friendly, ADA compliant and allows excellent accessibility. The Pfister G133 10SS has a deck plate included to make it easy to install on one- or three-hole sink. The spout arcs high swivelling 180° at the same time. A pull-out hose is manufactured of a tough nylon, which is very durable but flexible. It operates quietly and has an integrated button to switch between modes. 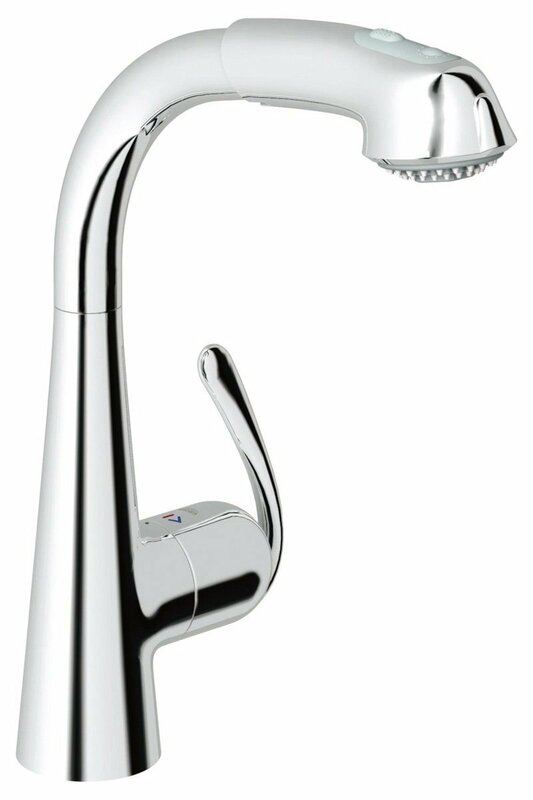 The top handle goes smoothly and easily and is very convenient both for right and left-handed people. The customers report about the absence of leaking problems with G133 10SS model. 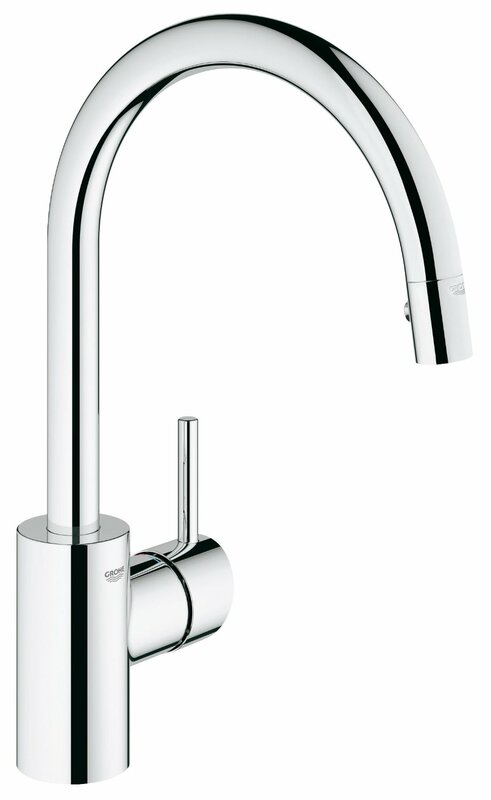 The facuet operates perfectly and its design is universal both for kitchen and bathroom. The spray has two modes – an aerated stream and a sprayer. 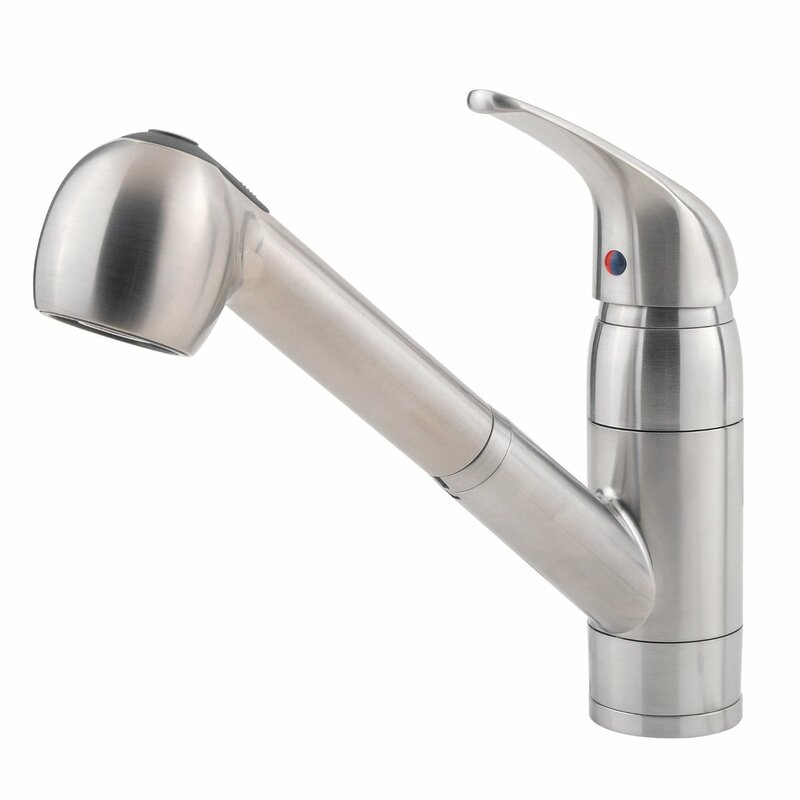 The aerator device pumps air into water flow so that it gets better taste. 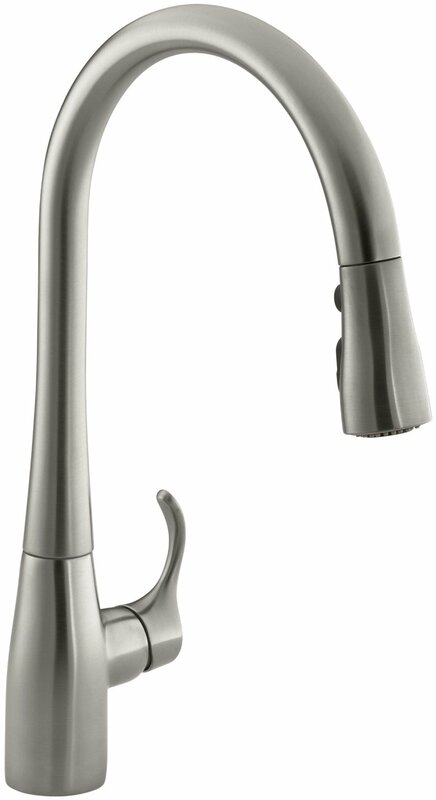 The most important feature of Price Pfister kitchen faucet G133 10SS is certainly the quality of materials it is made of. 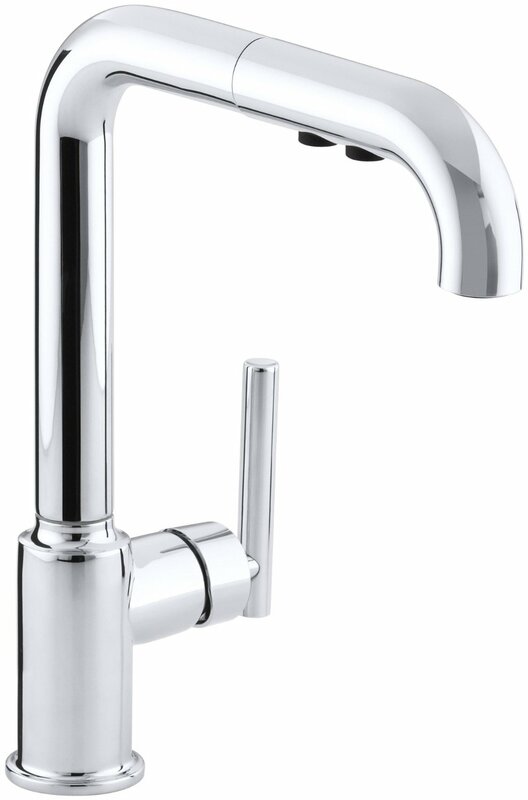 This Pfister tap is manufactured from solid brass with a thick finish which is completely resistant to rust and discoloration. The applience can be used by disabled people and also meets all standards concerning leads. The ceramic cartridge offers a smooth rotation and is guaranteed for life. 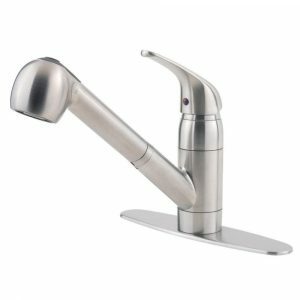 The faucet is considered high-priced, but you should remember that Pfister is the company which never compromises on quality of its products. The Pfister provides this faucet with four extraordinary finishes: stainless steel, polished chrome, gorgeous Tuscan bronze and stylish white. 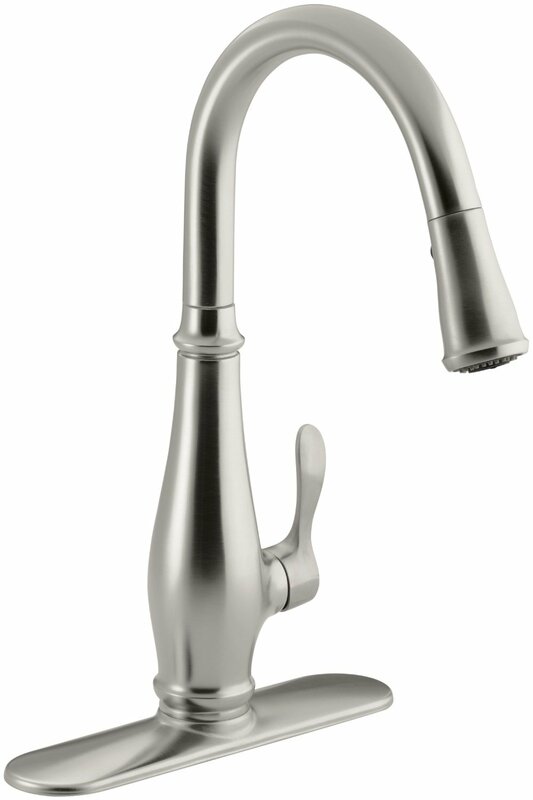 The globe-shaped spray head is a fresh breath among the traditional spouts. It gives a perfect flow for washing veggies or de-starching rice. Of course, dishwashing is also effective with this spray. The G133 10SS Pfister fits with American standard connections and comes equipped with all necessary hardware for installation. The buyers denote that even a non-professional can cope with the task of set-up. The faucet’s weight is only 4,8 pounds with a height of 12 inches. So, if you have a cabinet over your basin, it will make no problem. 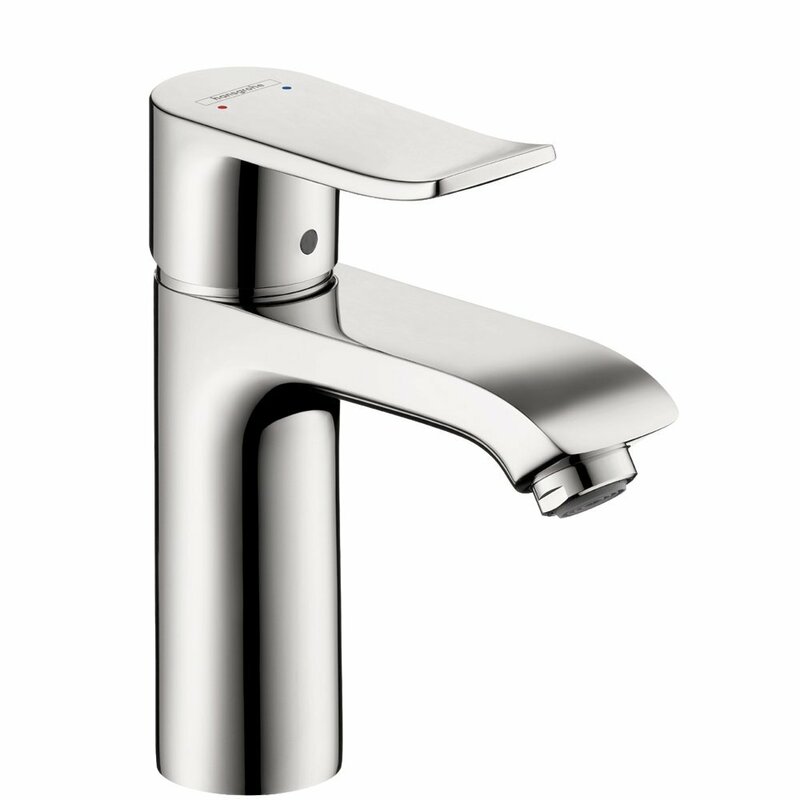 The G133-10SS faucet is manufactured to work flawlessly for decades. The brass is solid as well as all the innards. The finishes are durable and build-up resistant. That is why all the construction is very easy to be maintained. Some reviewers report about water pressure issues, which are solvable yet. If there are some problems with pressure, a restrictor valve should be taken away from the extender tubing. 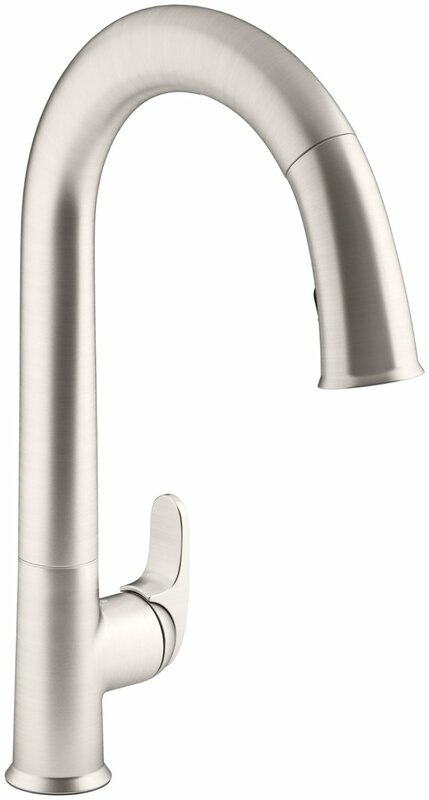 The Pfister G133 10SS is definitely a perfect faucet if you need something functional and reliable for your kitchen. 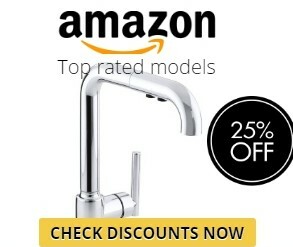 Of course, there is a number of more stylish designs for this price, but it doesn’t mean that they cope with all the kitchen affairs without leaking and breakings. Pfister offers excellent plumbing equipment which is worthy of its price.